This is a horrendously complicated topic. To get an idea, just imagine writing a living will yourself: when would you pull the plug on you? There needs to be a medical counselor to help with this sort of stuff. My father said something recently that freaked me out. He talked about icchha mrithyu, a phrase borrowed from the Hindu epic, Mahabharat, in which Bhishma has the ability to choose the moment of his death. My father is in the process of writing his will; and often, through stray phrases, he reveals to me that he is confronting his mortality. “Euthanasia (mercy killing) is not a bad thing,” he will say as he steps out of the door. How do you want to die? Do you know how your parents or in-laws want to die? My mother-in-law, for instance, has told me that she wants all her organs to be donated. Through a friend, I learnt that this process would be a whole lot easier if she registers with a hospital. It is this type of detail that falls through the cracks when we think about ageing or dying. 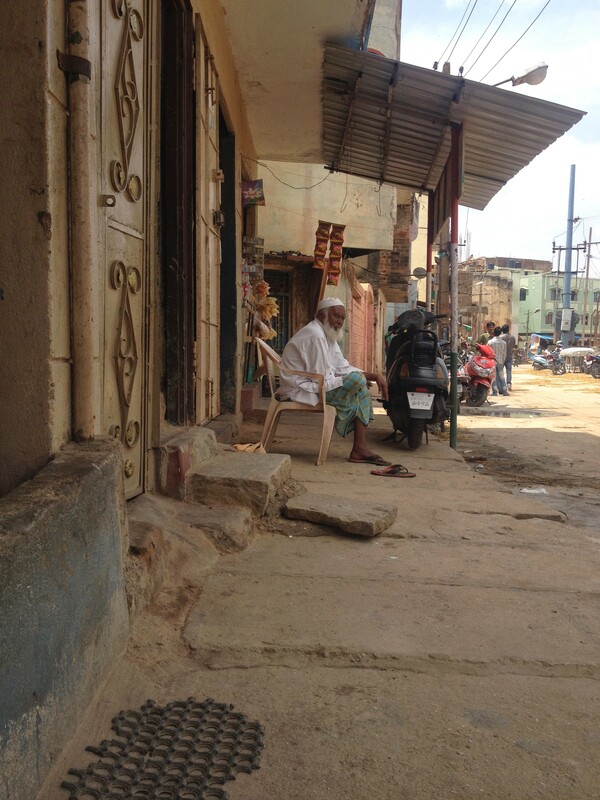 There are 100 million elderly people in India today. The number could grow to 324 million by 2050. How our elders live; how we care for them; and how they die is something that all of us are going to confront in the coming years. It isn’t easy. It is terrifying. Non-governmental organizations (NGOs) such as Dignity Foundation offer help with respect to counselling, mediation and writing a will. But that, as I’ve learnt, is only the tip of the iceberg. One of the things I used to trot out when people asked about Indian culture and values is respect for the elderly. A new study conducted by the NGO HelpAge India suggests the opposite. Apparently, 50% of elders in India face abuse, primarily from their loved ones; and usually when they are too ill or frail to care for themselves or others. Perhaps this finding doesn’t apply to you. Perhaps you can dismiss this as something that happens in resource-constrained families. Even so, there is a need for a very specific kind of discussion that each one of us needs to have with our parents (or children, depending on age). It is called Living Will and it is a set of instructions about how you would like to be treated when you are infirm in body and mind. The first time I heard this term—Living Will—was from my brother-in-law, a physician in the US. He told me that in addition to a legal will, he had written a Living Will, detailing the medical treatments that he wanted—and more importantly, didn’t want—if he was ever terminally ill. It got me thinking. Maybe I ought to write a Living Will too. That’s a very broad question, but God, as Mies van der Rohe said, is in the details. Do you want to be put on a ventilator? Do you want to be intubated, where a tube is stuck down your throat? How long do you want to prolong invasive procedures in case you are terminally ill? When do you want to forgo yet another surgery for palliative care that comforts but doesn’t treat? Which of your children do you want to nominate as your healthcare proxy—the one who makes your decisions when you are no longer able to? What do you want your children to do in case you go into a coma? How long should they hold on to you? What level of pain are you willing to take and tolerate? At what point do you want to pull the plug on medical care? Do you want to die in the hospital or at home? The last question is the easiest, and should be your starting point. Nobody wants to die in a hospital, but what ends up happening once you get admitted to hospital is that a series of medical procedures are set in motion. Often, once you are in the throes of the intensive care unit, it is hard to decide when to pull back and which procedure to forgo. This is the type of decision that could be made well in advance, ideally by you rather than your spouse or children. If you are a parent, think of it this way: It is very hard for a child to make these types of decisions on behalf of their parents. They will always want to keep on going—do another test, try another method, a different kind of surgery, to do everything possible to attack whatever illness is attacking you. They will do everything that the hospital has to offer rather than “give up”. This means that your child will authorize procedure after procedure just in case something works. He or she will explore all the options in the hope that something will work and prolong your life. What your beloved child will not be thinking about is the quality of your life since he or she will be caught up in preserving it, come what may. This column is about living an examined life. Do you think that leaving detailed instructions in the form of a Living Will—either written or through a candid conversation with a loved one—constitutes one element of a good life? Must we die with dignity and in a way we choose—ichha mrithyu—to have lived well?